Squaw Valley hosted the 1960 Winter Olympic Games and has become synonymous with big mountain skiing. This community has been the home to countless Olympic champions and world renowned extreme skiers. 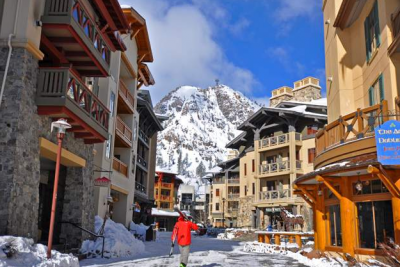 Whether you are are a resident or just visiting Squaw Valley offers a world class skiing experience. In 2011, Squaw Valley and Alpine Meadows Ski Resort merged. This merge created one of the largest ski resorts in North America. This community is rich in history and offers a wide range of real estate options from condominiums, mountain retreats, to contemporary luxury homes. The Valley has many well established real estate subdivisions, such as: Hidden Lake, Homesites at Squaw Creek, Painted Rock, Squaw Creek Estates, Squaw Summit and Creekside Estates with more planned for development in the not so distant future.